Thinking about going back to stock (4 month of baby). This catback exhaust is currently on the vehicle (e36). Has approx. 8k kms on it since i got it. One of the best sounding catback exhaust for the e36 m50. Low rumble at idle, stump on the pedal and the sound is fierce (youtube for sound). I live near a school and there is always police doing speed checks and i dont get stopped for its sound. Recently had the vehicle etested with it on and it passed. esthetically its in excellent condition. Offers? or interests, pm me. thanks. - vehicle has not been winter driven with this exhaust on. - always get complimented on the exhaust sound while cruising around town. will post more answers if new questions arise. 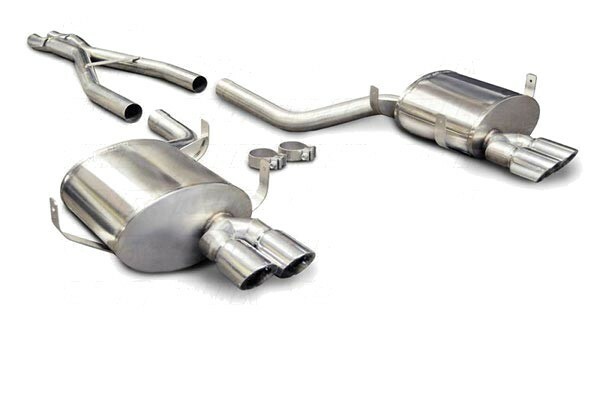 hey if you still have the exhaust would you consider $350.00. in all honesty not trying to low ball, i just found and older thread with this price listed. decided not to sell.. putting in a turbo with this exhaust.